For Heating & Air Conditioning, We Will Do It Better! CAM Heating & Cooling specializes in professional HVAC services for residential and commercial clients. We serve Brevard, NC, Transylvania County, and surrounding areas of Western North Carolina. At CAM Heating & Cooling, we’ve built a name for ourselves by providing unparalleled customer support and enthusiasm in every service we offer. Our team of technicians constantly evaluates the indoor comfort problems found in WNC homes. Then we provide the best new solutions to you. You’ll get better overall service on every call—and we’ll do the job right the first time. 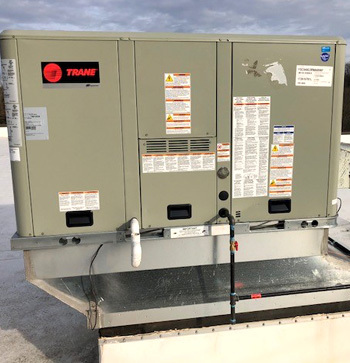 Our research has shown that, regardless of the brand of equipment you use, most heating and air conditioning problems are preventable with proper equipment applications, installation, maintenance, and service. Our purpose is to enhance your comfort while maximizing your equipment’s performance. 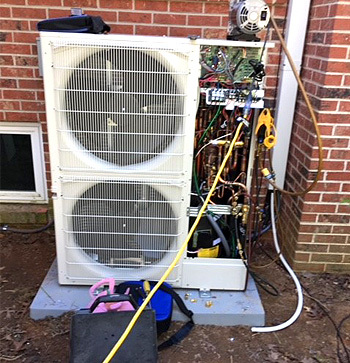 No matter what brand of HVAC system you have, our technicians can keep it running at peak efficiency. View examples of our heating and A/C work to get an idea of what we can do. Trust CAM Heating & Cooling for professional heating and air conditioning service in Transylvania County, and surrounding areas. Our heating and air conditioning services include installation, maintenance, and repair. Count on us for everything from basic installation to custom work. We work on heat pumps, air handlers, and gas units. We also install and service geothermal heating systems. We also provide high-quality commercial heating and air conditioning service throughout Western North Carolina. These range from new construction projects to large, existing structures. Call today and see how we can help your business, church, or school heat and cool more effectively and efficiently. Choosing the right equipment for your business is critical. We can help you find the right equipment and keep it running. We can provide efficient and reliable freezer and refrigeration too. CAM Heating & Cooling is a licensed and insured, family-owned air conditioning and heating contractor with more than 30 years of experience. Since 1984, we’ve been dedicated to providing the best solutions for you and your family. Let CAM Heating & Cooling be your choice for all your heating and air conditioning needs. Call today to receive an estimate on HVAC sales, service, and repairs. Don’t forget to ask about our preventative maintenance contracts. Hours: Monday-Friday 8am-5pm. After hours emergency service available 24 hours a day.